Aging is a difficult process that every individual has to go through in some way or another. Many seniors find that aging is a difficult part of life but one they can handle in stride with the help and support of family members and loved ones. Everyone knows that aging is part of life, and something that happens with time. However, if you ask most seniors who are dealing with aging right now, chances are they will tell you there are a lot of myths associated with aging that simply aren’t true. Here are some of the biggest myths about getting older that any senior would be happy to dispel. People who age are lonely. One of the biggest misconceptions about aging is that individuals who age are lonely, because they can’t maintain their normal social life. While some seniors may be lonely after losing a spouse or loved ones, not all people who age are lonely. There are many seniors who are not lonely at all and who continue to have engaging and meaningful relationships with many people. The more you age, the less you will be able to work out. It is never too late to start working out. Even if seniors didn’t work out when they were younger, it doesn’t mean that they can’t start working out in their 50s, 60s, 70s or 80s. 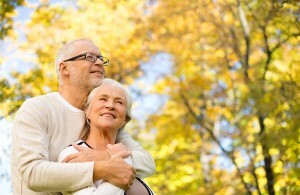 Many seniors exercise vigorously all through their golden years and are much healthier because of it. Individuals who age become less sharp with time. Just because you age and may forget where you left your keys from time-to-time, it doesn’t mean that aging makes you less sharp. In fact, many seniors are more intelligent and on-point than ever thanks to their years of experience in the world. Aging doesn’t necessarily have any type of impact on a person’s mind. Aging does not lead to depression. In fact, most people who age are not depressed. While some people do fear aging, it does not mean that they are going to be depressed when they age. In fact, ask most seniors about their lives and how they feel about being at this point in their lives and chances are they are very happy with their lives. Depression happens to people of all ages and for a number of reasons, but the good news is that depression is very treatable at any age. Dementia is a part of aging. While many seniors unfortunately develop dementia in their older years, dementia is not an inevitable part of aging. There are so many adults that live into their 90s and 100s that never have any signs of dementia. Plus, with more information out about this condition, scientists are getting closer to lessening the number of people who develop this condition. The aging process can be different for everyone, and most people who fear aging unfortunately believe many of the rumors out there about growing older. Help those in your life who are dealing with aging to understand that many of these “ideals” about aging are actually myths, so they can approach the aging process with confidence.